Easy EPC Brighton provides domestic and commercial Energy Performance Certificates (EPC) in Brighton & Hove, Lewes, and across Sussex. Founded by environmental science graduate Guy Smith in 2007, our years of industry experience and familiarity with the building stock in this area makes us Brighton's leading EPC provider. We have produced 1000s of EPCs in the Brighton & Hove area to date. We are a fully accredited and insured EPC provider. Every Energy Performance Certificate we produce is lodged on the government register and is valid for 10 Years. It is a now a legal requirement for all commercial and residential property in Brighton & Hove and across in the UK to have an EPC survey booked or in place before the property is marketed for sale or rent. We have a very quick turnaround time, and will be happy to confirm the booing with your agent to allow you to commence marketing your property straight away. From £49.95 for a Domestic EPC in Brighton & Hove, Lewes and across Sussex. We can provide your EPC in the shortest time frame with the minimum of fuss. We will not be beaten on price. 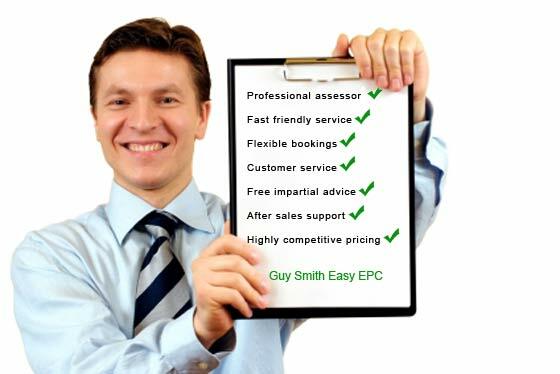 Please call Guy Smith on 01273 499 141 to make a booking today. Alternatively Contact us for more information about our fast, friendly and reliable service, or to find out more about Energy Performance Certificate legislation and processes.